I used to make Raw Almond Milk for my daughter for when she weaned off Breast milk at 15 months. I was really confused, we are a dairy free family and I wanted to be able to give her something with loads of nutrition. 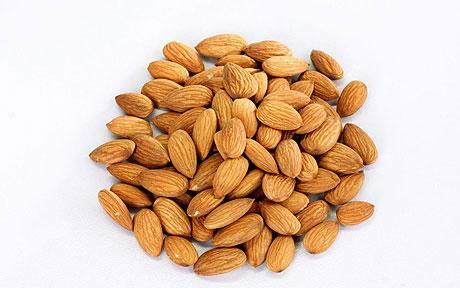 Almonds are packed with goodness- calcium, magnesium and Vitamin E to name a few and of course are an excellent source of protein. I was making almond butter with the leftover almond meal but ended up throwing most of it away. After meeting some amazing women I have realised there is loads you can do with the leftovers so have been inspired to make it again. You can dry the meal and grind it in a coffee grinder to make almond flour, something I have been buying anyway to bake with. It can also be frozen, used in bone broth, added to Chia Porridge and muesli. I have a normal blender- if you have a more powerful mixer you may want to play with the ratio. I use a ratio of 3:1 water to almonds. You have to soak the almonds first overnight or at least 8 hours. I use Raw almonds to get the most nutrition and I soak them in distilled water.